2. 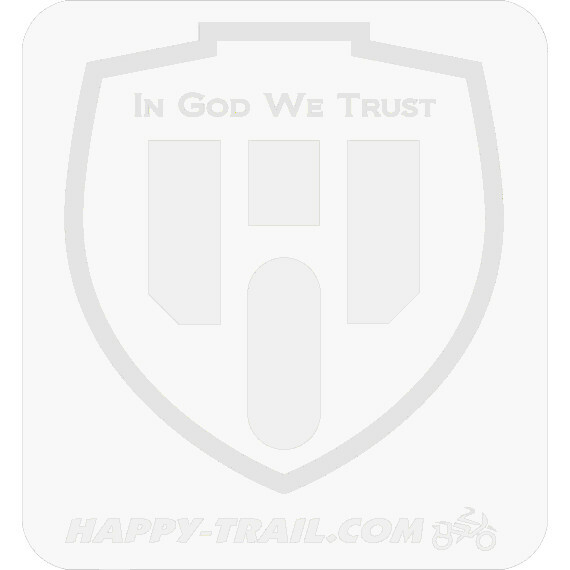 Add a Happy Trails Tail Plate to your tail rack. This gives you a flat shelf for carrying a duffel (or bags of chicken feed) when the top box is off. You can mount the top box directly to the tail plate with our isolator mount kit. 3. The Tail Plate also gives you the option of running the QRL Quick Release Latch for your top box. 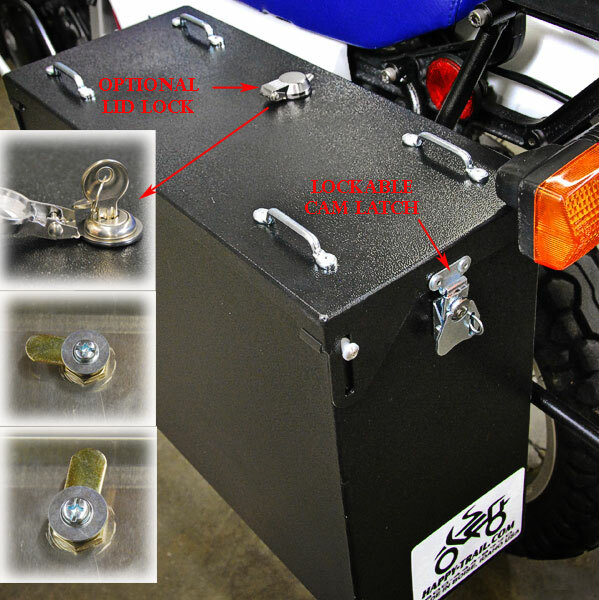 The QRL allows you to quickly and easily remove your top box from the bike and put it back on just as easily. Fitment Note: The 47 Liter Top Box will work with Denali standard panniers and all other panniers offered for the V-Strom 1000. Does not work with Denali clif-cut panniers. (The clif-cut is a 1.5" exhaust cut-out option available for V-Strom Denali panniers).